The Gorabide Association will receive the 2016 Barakaldo Solidario-Antonio Miranda. With the help of companies such as Vda. de Sainz that strive to carry out solidarity and help the most disadvantaged sectors, the award granted by the Miranda Foundation distinguishes people and groups who stand out by providing care. The Antonio Miranda Foundation has held another year, already nine, the Barakaldo Solidario-Antonio Miranda Award, which recognizes in this edition the Gorabide Association for its tireless work to improve the quality of life and defend the rights of people with Intellectual disability of Biscay, as well as to their families and persons or tutor entities. In September 1962, a group of relatives and friends of people with intellectual disabilities constituted what is now Gorabide. In 1963, this organization was recognized as a Private Entity and in 1970, it was named of Public Utility. Its greatest concern, as reflected in the statutes, was to raise public awareness about the social and family situation, as well as to create centers of assistance, which at the time did not exist. The ultimate purpose that gives meaning to Gorabide, and that drives all the activity of the association, is the defense of rights that, as members of society, have people with intellectual disabilities, regardless of the cause that originates. 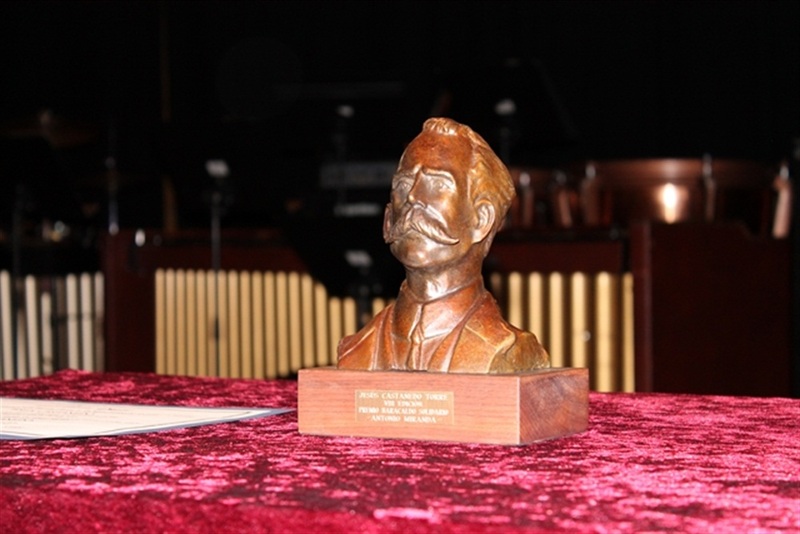 The Barakaldo Solidarity Prize, Mr. Antonio Miranda, which this year celebrates its ninth edition, was founded in 2008 by the Miranda Foundation in collaboration with the Barakaldo City Council. The award recognizes those institutions, associations, private entities or individuals that stand out for the disinterested accomplishment of care tasks, both in the Barakaldo and outside it. > 11/6/2015. Jesús Castanedo, of Goiztiri, awarded with the Barakaldo Solidario Antonio Miranda. > 18/11/2014. Argia Fundazioa, Barakaldo Solidario Award. > 11/15/2013. The Barakaldo association with the Sahara Salam wins the Barakaldo Solidario award. > 20/11/2012. Maite Martín receives the Barakaldo Solidario award for her 40 years of work in favor of the community. ?> 09/11/2011. Isidro Pérez Ortiz, Barakaldo Solidario award for his support to families and elders of the region.